Do you ever have those moments where you just look at your kids and it hits you like a ton of bricks that they are actually yours? Not only are they yours, but you get to keep them! I have those moments every so often. Last night Ben and Grayson were in Alabama watching my brother in law play basketball. Griffin and I had a little one on one time--something that is hard to come by as the second child. Throughout our afternoon & night together, I could tell he was looking for Grayson. He was missing him. As soon as I showed him some videos on my phone of the two of them playing, he busted out his fantastic belly laugh. That boy loves his Grayson. I can't believe that they belong to us. I can't believe that these two boys who looked identical when they were newborns look so different from one another now. I can't believe that these boys who came from the exact same parents can have such polar opposite personalities. 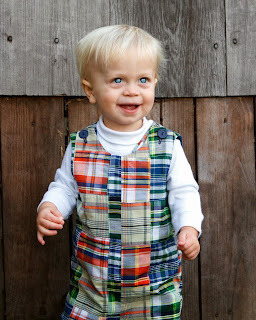 Grayson is our cautious, timid, observant child. I mean observant in every sense of the word. That boy watches EVERYTHING you do & listens to EVERYTHING you say. 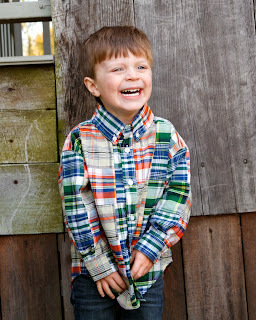 G hates to get in trouble & from what his teachers tell me is the almost perfect preschool student. He is a sensitive little soul & cares deeply for his friends. oh, and he's hysterical. He keeps us laughing! 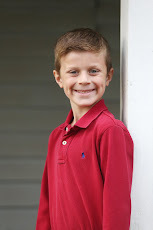 Griffin is our wild & carefree child. He is a fiery spirit trapped in a tiny little body. He is adventurous, fearless, & can be somewhat of a troublemaker. He definitely keeps me on my toes! But, boy, he can work those big blue eyes! Those will be probably get him into trouble later in life! I just love watching our boys develop personalities all their own. I love that even though they are so different, they love each other so much. I know that they can use their strong personalities to do big things in this world. It's just such a privilege getting to watch these sweet boys grow up. I know exactly what you mean about looking at them and being like WOW! I have kids, and these wonderful little people are mine! ha I can't wait to see the differences as sister grows. They are already pretty different! they are so adorable and their personalities just shine through in those pictures! I also love their little outfits! TOO CUTE!! !